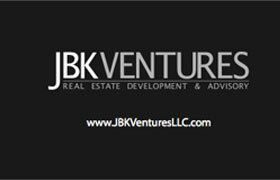 JBKVentures, LLC, wanted a simple, clean, strong identity for their corporate identity and wanted clients and prospects to have multiple options to contact the build/developer at a moment’s notice. Our solution was a two-sided business card with alternative methods of contact printed on the card. The backside displays a white logo on a matte black surface.